In addition to inline and overlay embed, you can now have an experience slide in onto your web page. 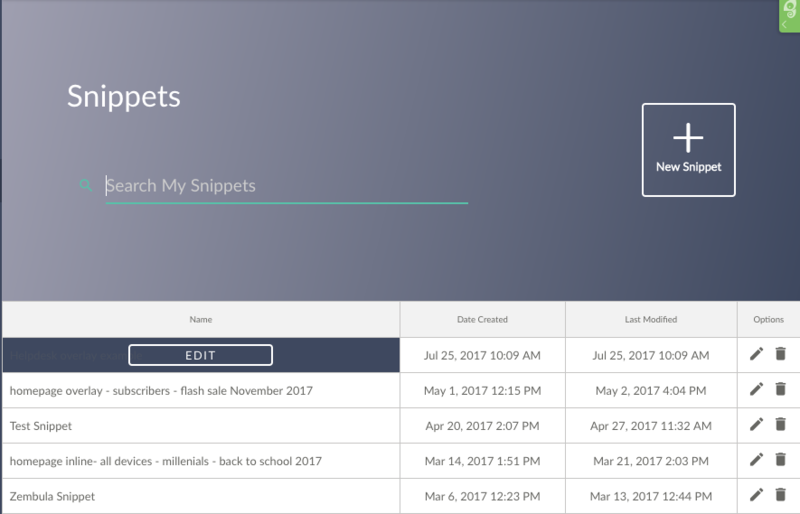 The new Slide-in Feature offers you yet another fun way for your customers to interact with your Experiences, directly on your website. It’s a unique way of getting your message across without relying on a pop up window to grab your audience’s attention. Want to see it in action? Simply input your website at the end of the following URL, copy and paste it into a new window and you will be able to view how it would look on your own site! The slide-in is an excellent option to get information from engaged visitors to your site. Let’s say you would like to acquire email addresses by offering a white paper sign up on your home page. 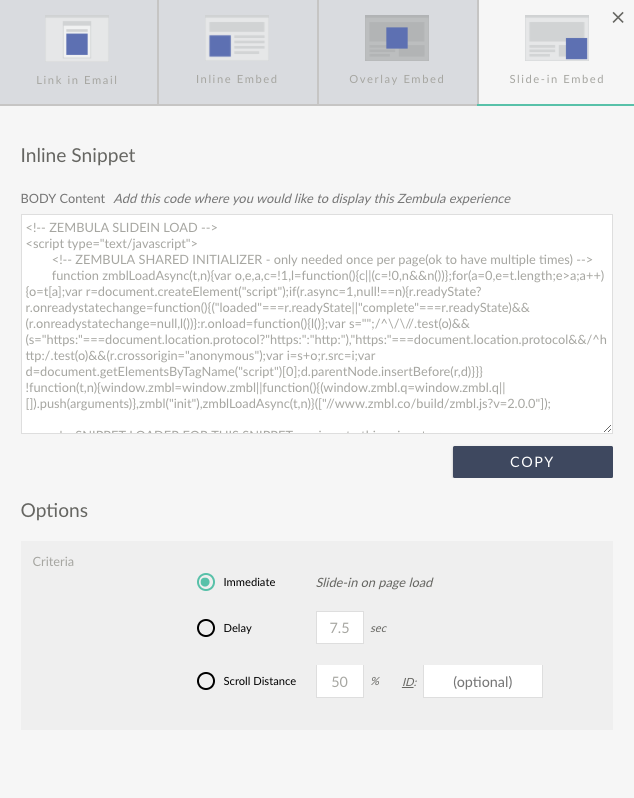 You can set up your Zembula Experience is set up for email acquisition (information on how to do that can be found here). Then, when it comes time to embed and your Experience, you can set it to gracefully slide in from the side of the page, offering the user a more subtle, yet enticing interactive experience, ultimately prompting them to submit their email address in return for the downloadable content. Can I control when the Experience slides in? Yes, when you select the slide-in option, you have the ability to choose for the Experience to slide in immediately when the page is loaded, or you may set a specific delay time. Can I specify how far down on the page my slide in appears? Yes, you can select the scroll distance by specifying a percentage of the page that the viewer to scroll through before the Experience appears. Can I specify which side of the page the Experience can slide in? Currently, the platform allows the Experience to slide in only from the right of the page. 2. Click on the “Embed & Share” button. 3. Select the “Slide-in Embed” option, and set the options for the timing of the Slide-in and page position. 4. Copy and paste the embed code anywhere on your web page.